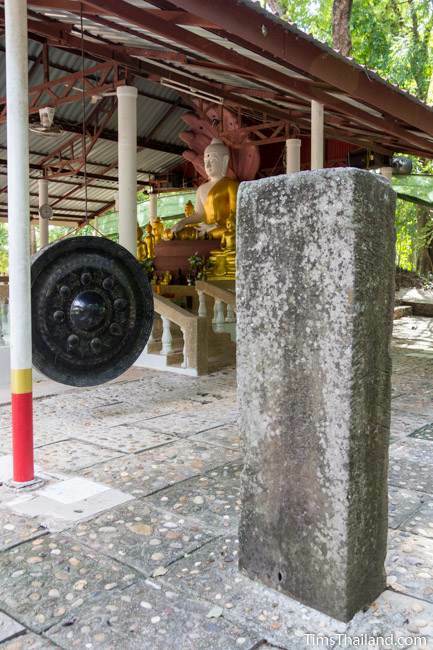 Ku Kaew Chaiyaram (กู่แก้วชัยราม) was once a single prang with a mandapa at the front, but it collapsed completely and the remains now lie almost entirely buried under a large concrete base. The ruins sit on an east-west axis and so the temple almost certainly faced east. Someday this base will hold an ubosot, but for now there are twin shrines on top. 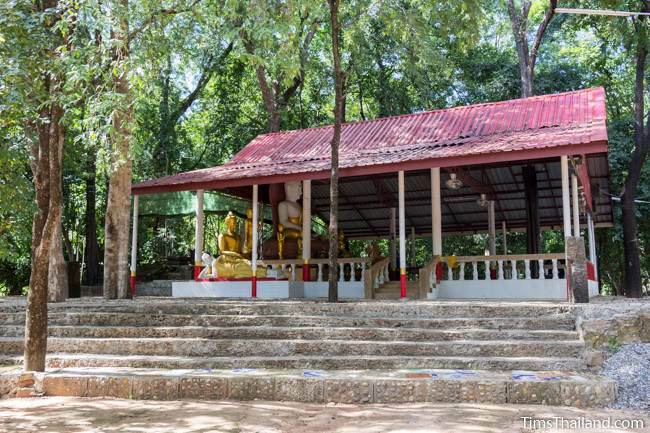 In front is an ordinary Buddha shrine and behind this, amidst some trees, is a small shrine comprised of four stones from the Khmer temple: a piece of a lotus-bud top from the prang, set on an ordinary square block, between two yoni. 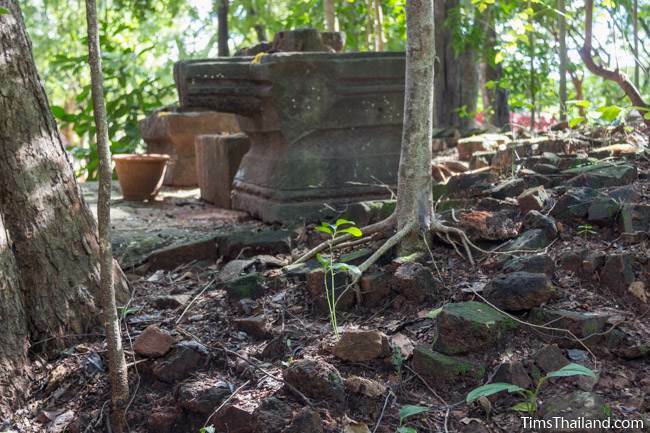 Next to this Khmer shrine is a jumble of bricks, presumably from a toppled stupa or some other post-Khmer construction. 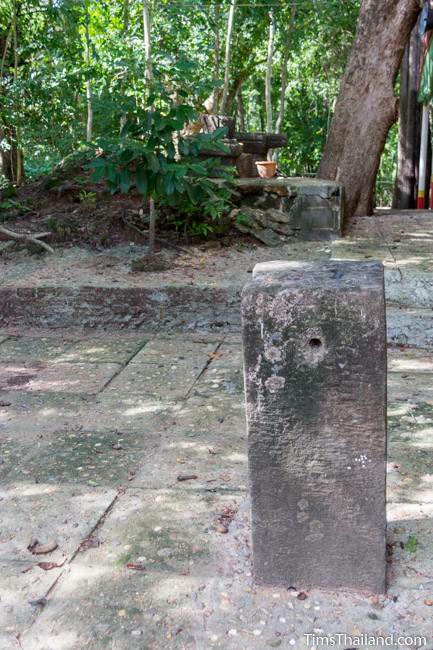 Also on top, encircling the two shrines like bai sema boundary stones, are six long sandstone blocks, probably parts of door and/or window frames. Down below on the south are three simple sandstone benches that appear to be made of what was, or was going to be, a lintel. 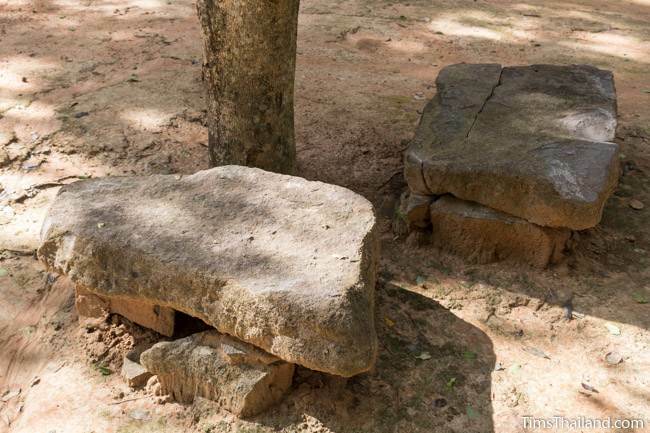 All other blocks (both sandstone and laterite, according to one man at the temple) lie below the base or were taken away by the Fine Arts Department for safekeeping. 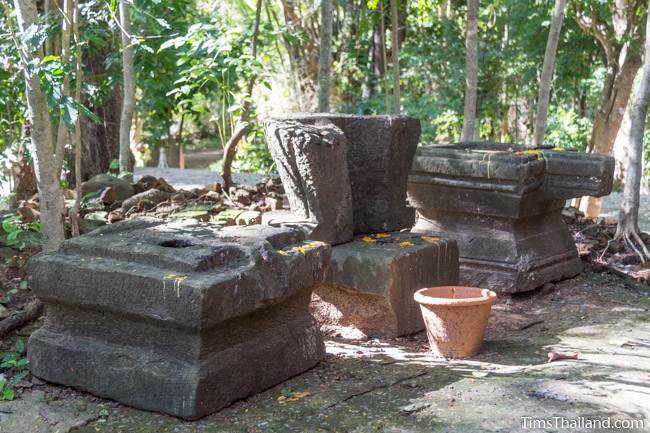 They also found some pottery that appeared to come from the kilns in Ban Kruat, Buriram. 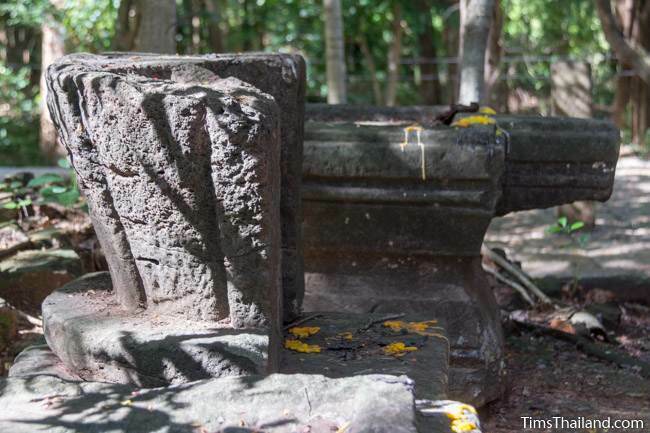 No carvings or anything else that could be used to date the temple definitively have been found, so the best estimate of its construction is sometime from the 11th to 13th centuries. 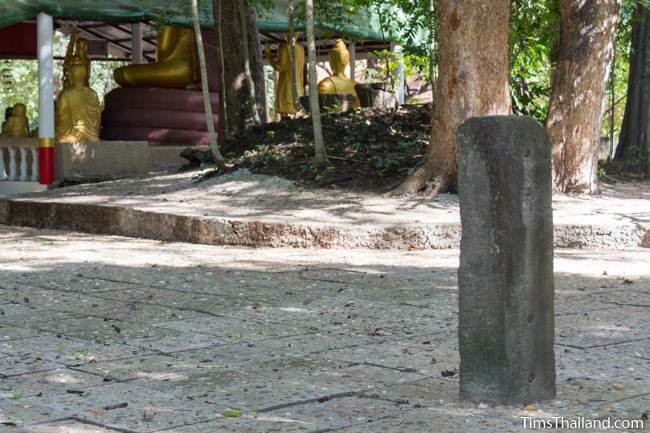 A depression in the ground running along the north side of the ruin with a very clear, wide bend at the east end is what remains of Ku Kaew Chaiyaram's old moat. The southern side of the moat would have been about where the road is now. 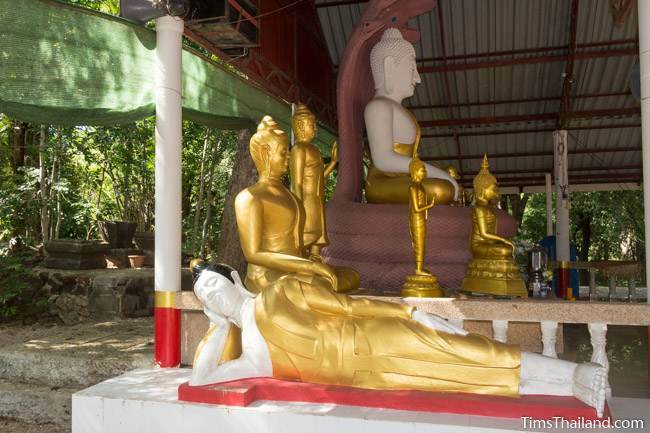 A man at the temple told us that the small rectangular field in front of the ruin is the remnant of a baray, but it's much too close to the ruin for this to be correct.